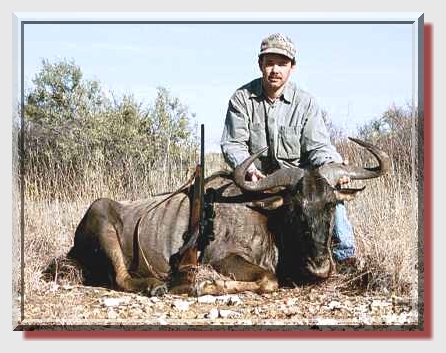 This is probably a no2 Roland Ward Blue Wildebeest, shot at 190m (measured), with 375 calibre 265gr GS Custom HV. Taking a quartering shot from the left side, the bullet entered behind the last rib and exited on the right side behind the shoulder. 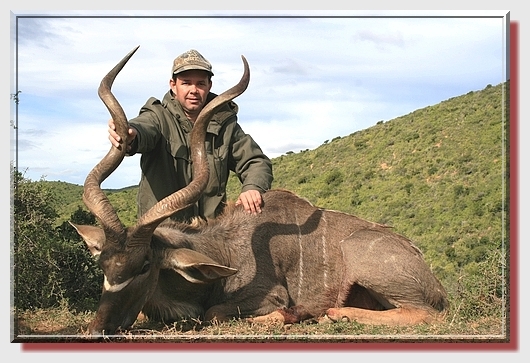 Another fine specimen taken by Paul with his 375H&H.